It looks like Kenny Golladay is trending in the right direction, but may still be a week away. 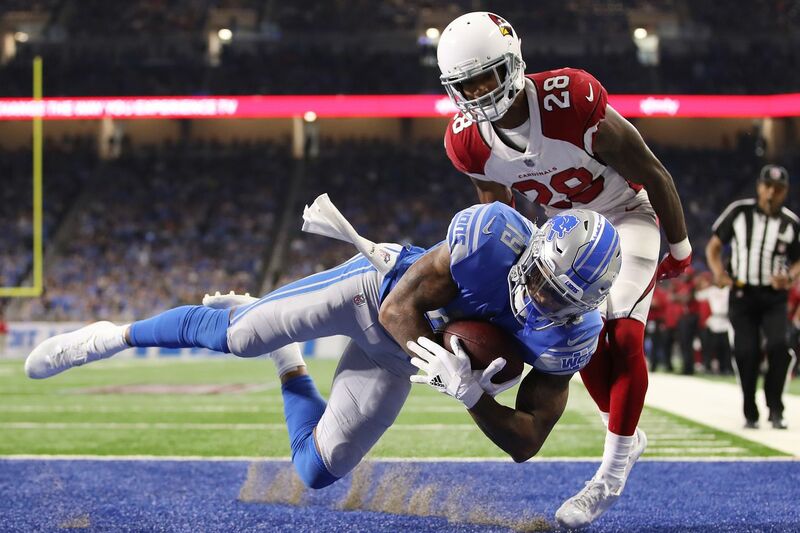 It appears there’s still a small chance Detroit Lions rookie receiver Kenny Golladay could make his highly anticipated return this week. Golladay practiced on Saturday for the first time this week but is still officially listed as doubtful for Monday night’s game against the Green Bay Packers. Golladay hadn’t practiced since last Wednesday because of a lingering hamstring issue that dates back to Week 4. Considering the Lions’ struggles in the red zone, Golladay’s big, physical presence could be just the boost Detroit’s offense needs. He currently has two touchdowns in the three games, but it appears he may still be a week away. The rest of Detroit’s Injury Report is pleasantly small. Left tackle Greg Robinson has been declared out after missing all three practices this week, while Ezekiel Ansah remains questionable, as he has been every week this year. Players like Dwayne Washington (concussion) and Paul Worrilow (knee) were not given Injury designations, suggesting they will play this week. Worrilow has not played since suffering an injury in Week 4 against the Vikings.